Some people want their vacations to be breezy and relaxing. Others would like it to be fun and exciting, but what everyone can agree upon is that they don’t want their vacation to be stressful. And what better way to reduce stress than to ditch the car? No rental fees, no parking fees, and no need to buy gas. Vacationing without a car can be a wonderful thing…if you’re in the right spots. Assuming that everyone here already knows that places like New York City and Boston are easy to navigate without a car because of their subway systems, I thought I’d make a list of places that maybe you didn’t know you could easily vacation to without a car. So pack your bags and leave the driving gloves at home, we’re taking a holiday! To anyone who hasn’t been there, the Florida Keys might not seem real. The perfect waters, sunny skies, colorful beach homes, and palm trees swaying in the sea breeze. 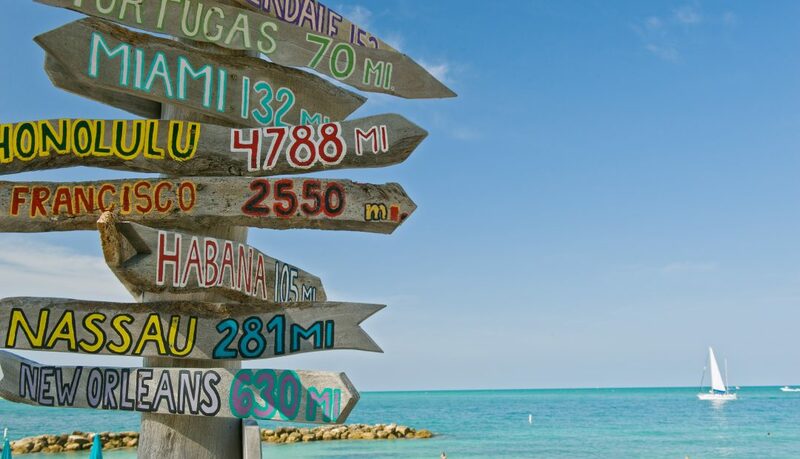 It’s no wonder that Ernest Hemingway and Tennessee Williams chose to live in the Keys, residing on the island of Key West. 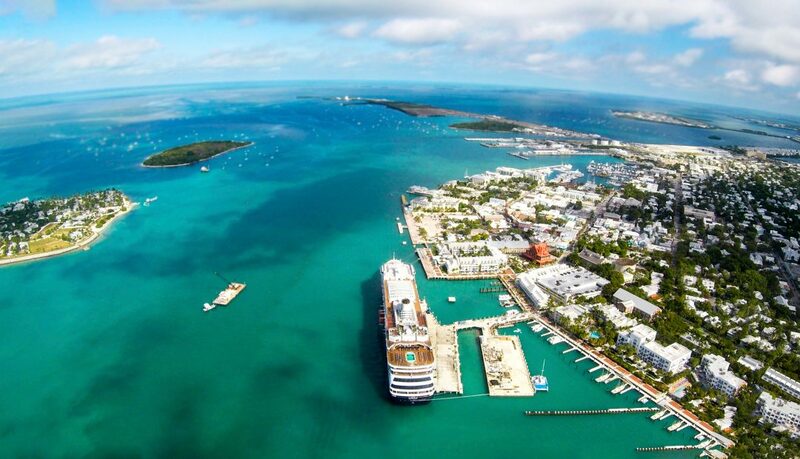 Key West, the most populous island in the archipelago has long been a hangout for the creative crowd. Generations of artists have felt the inspiration that seems to flow from the Gulf into this tiny island town. It’s a great place for anyone looking to paint, write, and shoot photography. Aside from the arts, the island also boasts an emerging food scene, not to mention those glorious ocean views. With the island being so small, it’s easily walkable. Grab an ice tea and go wander around! You’ll come across streets lined with cute boutiques, family-owned cafes, and popular nightlife. My favorite thing to do in the Key West is to wander the residential neighborhoods. They usually have narrow streets adorned with palms, large tropical bushes with bright flowers, and a few roaming iguanas! I can hear you already. You’re groaning and saying, LA? The city notorious for being sprawling and having horrible traffic? LA is a carless vacation destination? I used to live in LA and never owned a car there. So I can assure you from personal experience that, even though LA is indeed sprawling, you can easily take a vacation to the city’s coastal towns and never step foot in a rental car! LA’s coast goes like this, from North to South: Pacific Palisades, Santa Monica, Venice Beach, Marina Del Rey. And you can walk, bike, or scooter up and down the beach path to all of them easily. Another added benefit of the beaches is that they’re really close to LAX. They’re only a short Uber or bus ride from the airport, and if you take Lincoln Blvd. you could have an entire LA vacation without ever coming close to the freeway. While in Santa Monica, check out Urth Cafe for a wide assortment of coffee, desserts, and earthy-organic-chia-agave-flax type things. While in Venice…just marvel in the absolute absurdity of it all. The entire beach is populated with eccentrics and potheads. It’s truly one of the wackiest places on this planet. 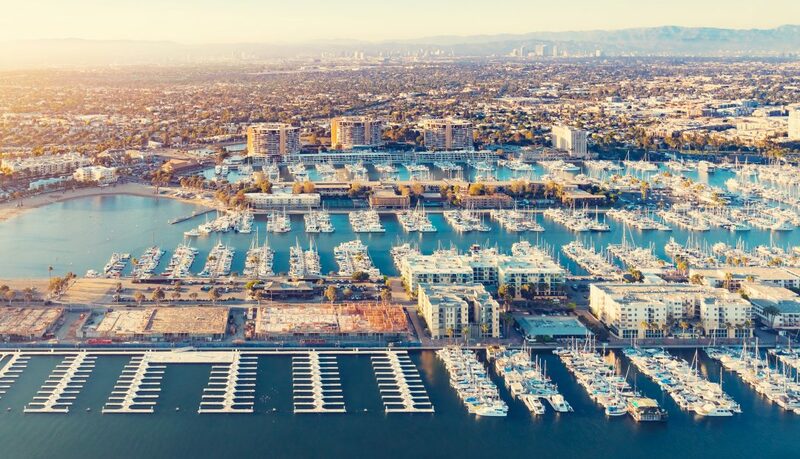 In Marina Del Rey, gaze at the mega-expensive condos, wander through the docks, gawk at the yachts of rich and powerful, and keep your eyes and ears open for seals and sea lions! Walt Disney thought that Disney World would be an image of the future. He wanted to show what the world could be. And part of his mission was efficient transportation. Thus, the Disney World monorail was born. It’s origin lies with Disneyland’s monorail, but whereas Disneyland’s is more of a showpiece, the Disney World monorail is a bonafide form of transportation taking guests to different parks, and even connecting hotels. 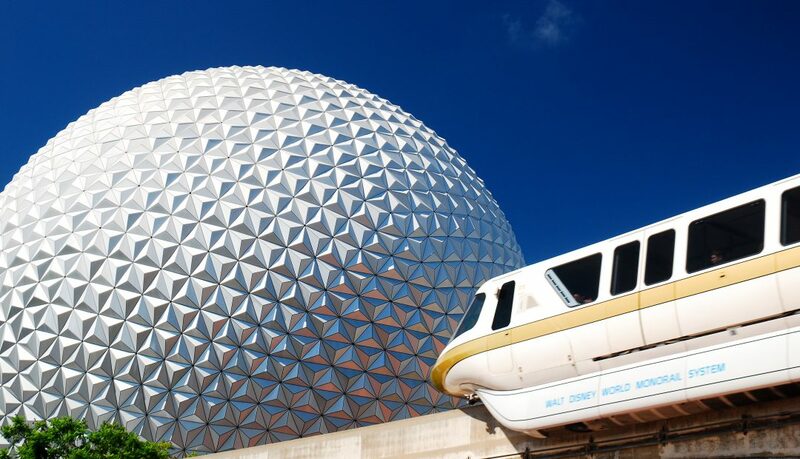 In more recent years the transportation portfolio has grown to include busses, free airport shuttle, ferries, and Disney even tried lobbying to have a high-speed train connect the park to the Orlando airport! Disney World highlights include Expedition Everest in the Animal Kingdom, Splash Mountain in the Magic Kingdom, and Soarin’ Around The World in Epcot. 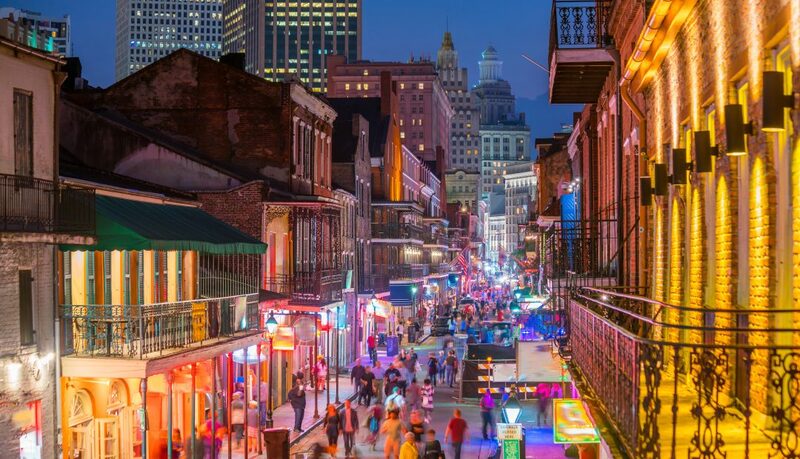 You could spend an entire New Orleans vacation in the French Quarter and have a wonderful, car-free vacation. But you know, you can also venture outside the French Quarter and find some unique and wonderful surprises throughout the city. How will get there? New Orleans’ famous streetcars, obviously! Take a ride through past and present on NOLA’s beautiful and classic streetcar lines. They’re not the fastest modes of transportation around, but they are quite easily one of the most beautiful. Imagine this: A beautiful warm day with the windows down as you glide through tree-lined avenues, sipping on an ice cold drink. Doesn’t sound too bad, huh? The St. Charles Line is the main artery of the city. Hop on the streetcar and take it to Napoleon Ave. From there, walk south a few blocks to the famous Magazine Street filled with local shops and restaurants. Go further down the St. Charles Line to the Tulane/Loyola stop and stroll through the historic campuses and Audubon Park across the street. If you’re feeling really adventurous, go even further and get off at Maple Street. Then get food at the famous Camellia Grill, a spot consistently featured in the press. After eating too much pecan pie, walk across the street and slowly waddle down Maple Street for more cute cafes and shops. Alternatively, you can always hope the Canal Street line and see what sights lie in that part of town too! Maybe you don’t want just a carless vacation. Maybe you’re looking to disconnect completely. To do that, I recommend heading to Monhegan Island, Maine. The ferry to the island won’t let you bring your car, so be sure to pack some good walking shoes. From the quaint village with it’s Inns and B&Bs, to the historic lighthouse and heath-swept cliffs, it’s impossible for you to visit this little island and not feel refreshed. Better yet, the island is still rather untouched. 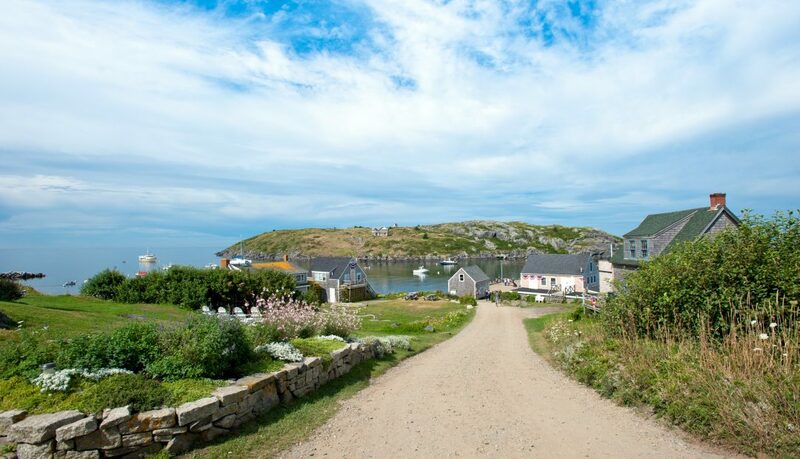 If you’ve ever gone to Mackinac Island hoping to find peace and solitude, but only found heaps of tourists…then Monhegan is the island vacation for you. Monhegan is the type of place you were hoping to find.